BetterTouchTool 2.636 – Customize multi-touch trackpad gestures. BetterTouchTool adds many new, fully customizable gestures to the Magic Mouse, Multi-Touch MacBook trackpad, and Magic Trackpad. These gestures are customizable…. Next story JustBroadcaster for Facebook 2.1 – Video streaming for Facebook. Previous story Framer 122 – Prototyping tool for testing interactivity. BetterTouchTool 2.332 – Customize multi-touch trackpad gestures. 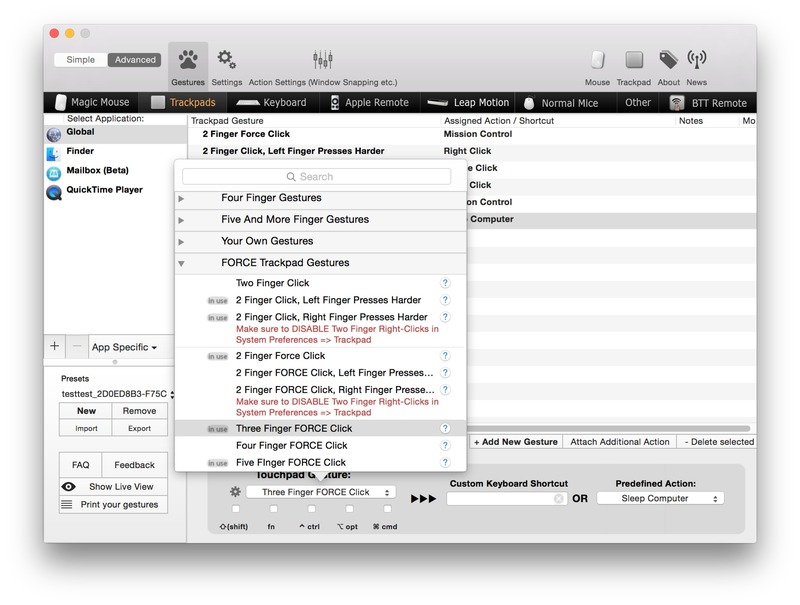 BetterTouchTool 2.646 – Customize multi-touch trackpad gestures.